Even if you don’t speak Spanish, I’m sure you know about “Cinco de Mayo”. The “Fifth of May” gives Americans the best reason to wear a sombrero, drink margaritas and eat all the tacos, chips and salsa our spicy-food, tequila-loving heart’s desire. The holiday actually celebrates Mexico’s unexpected victory over the French at the Battle of Puebla, and not Mexico’s independence as some may think. It has become more of an American holiday than a Mexican one and the image that usually comes to mind, of free-flowing margarita and tequila shooting parties, may give the day a bad rap. As for me, I think it is a great day to celebrate Mexican heritage and the delicious foods and drinks of our friends south of the border. Plus, it’s a perfect reason to get together with friends and celebrate life! The holiday falls on Monday this year, which means a long weekend of fiestas! There are plenty of Cinco de Mayo Celebrations in Orlando, whether you are looking for a big tequila party or to enjoy your taquitos with the family in a more relaxing spot. I selected the ones that were most fun, unique and provided the best foodie experiences. Share this list with your friends, pick your favorite spot and #MakeSomedayHappen this Cinco de Mayo! 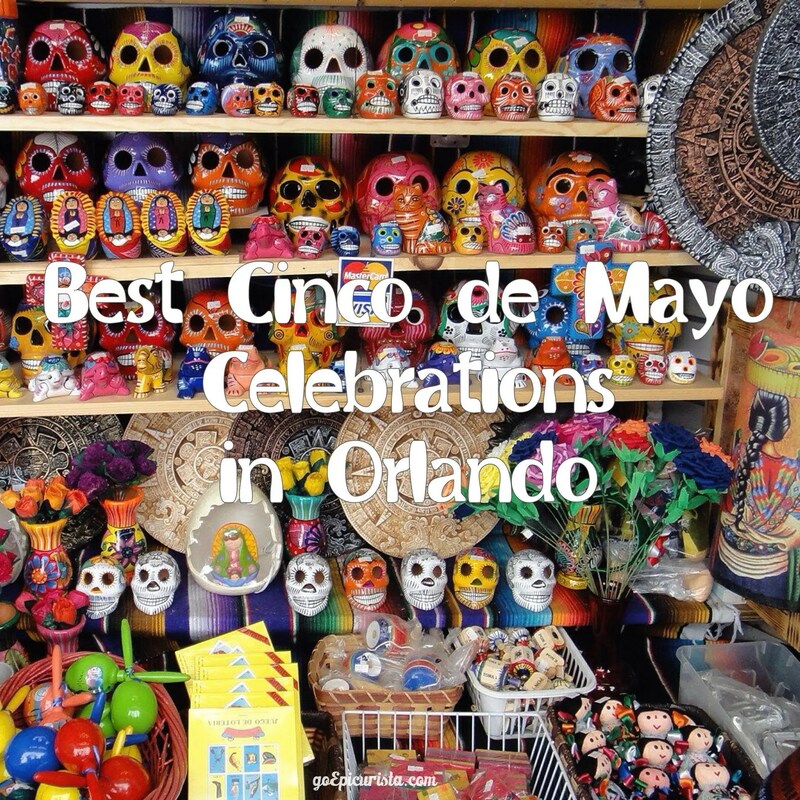 This local favorite voted “Best Mexican Restaurant” by Orlando Magazine, has planned a full weekend of fun, racing Chihuahuas, Patron Tequila ice luges, music and more Saturday May, 3 – Monday May 5, 2014! Most importantly, their creative Tex-Mex cuisine is sure to satisfy your foodie cravings. Everything here is made fresh from scratch daily, including “The Three Amigos” of Mexican Cuisine: Corn Tortillas, Salsa and Guacamole. Can you really have one without the other? No, I don’t think so. You can’t go wrong with any of their tacos. Take your pick from chicken, carnitas, brisket, blackened fish, skirt steak, rock shrimp or veggies. Their cocktail menu includes a nice selection of frozen, on the rocks and up margaritas (something you don’t see every day) including an award-winning Cardamom Orange Margarita with Don Julio Blanco, Cointreau, OJ, lime, agave and cardamom seeds that is reason to celebrate! The Two-Day Block Party on Saturday 5/3, from 12pm-7pm, and Sunday 5/4, from 11am-3pm features a local DJ spinning party tunes and brand ambassadors for Jose Cuervo Tequila and Corona serving up drinks. Enjoy the Cocina 214 Frozen and El Diablo Margaritas for $5 and Coronas for $3. The star attraction of this fun weekend is the Annual Running of the Chihuahuas, an event that must be seen to be believed. Tiny pups’ owners are encouraged to register ($12 in advance, $15 at the door donation) with all proceeds benefiting Winter Park Lost Pets and A Cause 4 Paws Rescue. I don’t think you’ll find a cuter spectacle! The party continues on Monday May 5th from 5pm-8pm, when the restaurant celebrates their three-year anniversary with a Patron Ice Luge at 5pm, followed by Corona giveaways and Don Julio tequila samples. That is an ice luge that you can qualify for, no athletic skills required! All events are FREE to attend plus the cost of food and drinks of course. 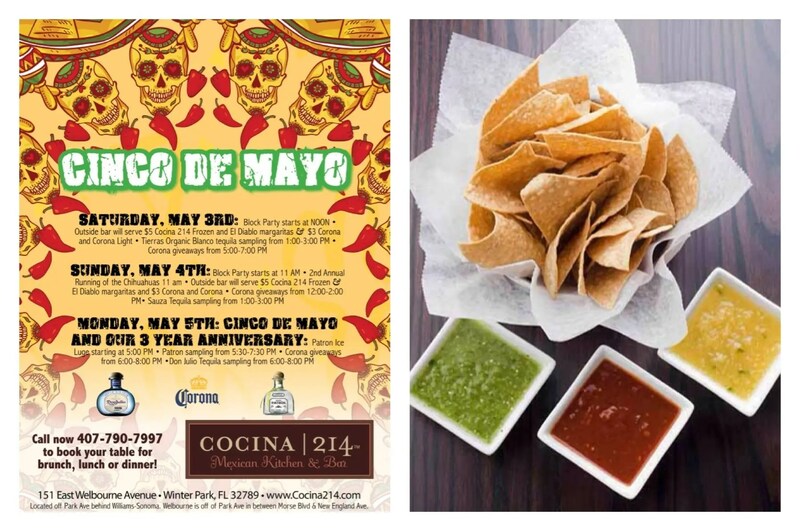 Cocina 214 is located on 151 Welbourne Avenue East, Winter Park, FL 32789, 407-790-7997. Although not a Mexican restaurant, they are embracing the holiday with their own twist of delicious fun. This is one of Orlando’s top foodie hot spots. Not surprisingly, they were recently voted #1 “Restaurant that says Orlando Area Best” by Orlando Magazine. If you’re visiting Orlando you need to eat here. If you live here, then you’ve probably already dined here or you’ve been saying you need to dine here “someday”. You know what I say… #MakeSomedayHappen and go. James Beard nominated, husband and wife team, Chefs James & Julie Petrakis are celebrating the holiday Saturday May 3, 2014, from 11:30am-2pm with their “Tres de Mayo El Ravenous Lechón”, their monthly pig roast. Partnering with Lagunitas Brewing Company, they will be incorporating their different beers into favorite Mexican dishes. The menu includes Pork mole with Lagunitas cappuccino stout, Chorizo verde with Lagunitas pilsner, black beans, chilaquiles, pickled onion and cotija cheese, and a warm churro with chocolate dipping sauce for dessert. Lagunitas will also be on hand with special giveaways and promotions and, you may even get your own sombrero! The cost of this feast is $17 per person and $5 draft beers. Click here for reservations (highly recommended). 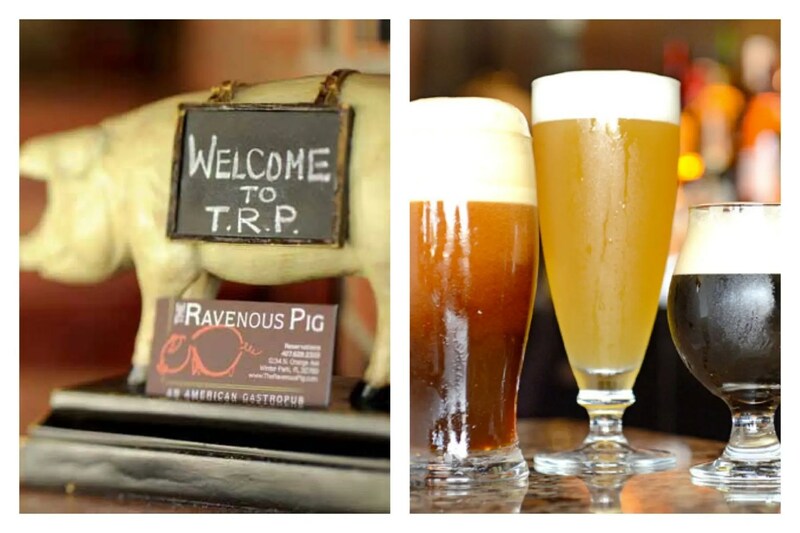 The Ravenous Pig is located on 1234 North Orange Avenue, Winter Park, FL 32789, 407-628-2333. 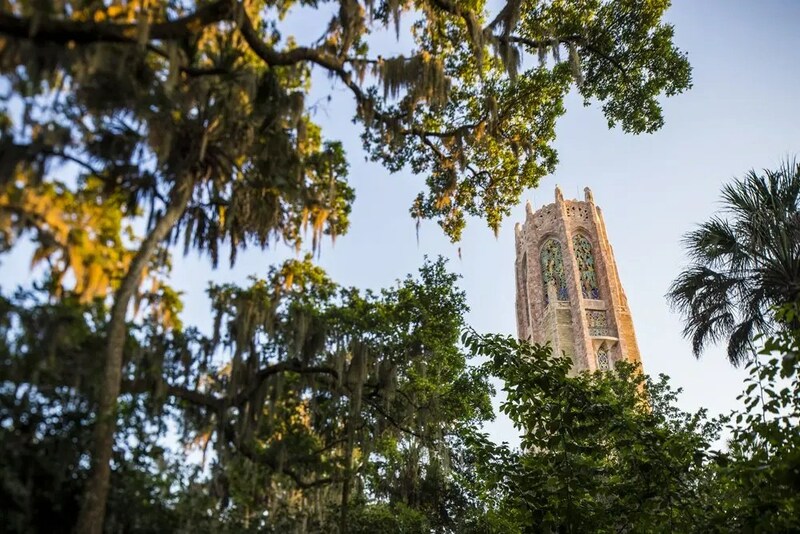 For a completely different and a bit more culturally refined evening, head out to Lake Wales for Bok Tower & Gardens on Sunday May 4, 2014, gate opens at 5pm for their 2nd annual Sunset “Cinco de Mayo” Concert. At sunset, enjoy Latin-themed music by Geert D’hollander on the Singing Tower carillon atop Iron Mountain. A five-piece Latin band will perform so you know there will be dancing. Bring a picnic or sample various Latin dishes from local food trucks and relax in this majestic oak grove. This is fun for the whole family or a romantic evening out. There is more to Cinco de Mayo than just margaritas but you can enjoy one of those here too! Admission is $5 per person and free for members. Bok Tower & Gardens is located on 1151 Tower Blvd, Lake Wales, FL 33853. Rosen Hotels is a fan of Mexican food, as its two largest properties feature their own Mexican eateries boasting inspired menus. Don’t expect the crazy Cinco de Mayo parties here though. This is all about relaxing and enjoying the food and I’m pretty sure you will enjoy what these chefs whip up right in front of you. Mi Casa Tequila Taqueria located at Rosen Shingle Creek Resort, is a quaint little restaurant with big flavor (and portions). The menu represents various regions of Mexico, from the traditional tortas and sopes to the expected quesadillas and tacos. The table-side Lima Guacamole ($12) is a must-try. The Flounder Vera Cruz ($22) with Lump Crab and Avocado is quite tasty, and Mi Casa Torta ($14) with toasted bolillo, salsa verde, marinated cabbage and pickled onions with nopales (cactus) fries and chipotle ketchup is a filling treat. 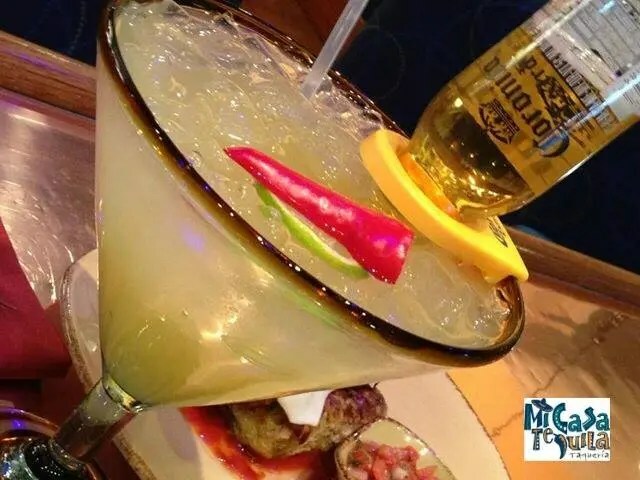 Of course you must have the El Jefe Margarita, it’s called “the boss” for a reason! Rosen Shingle Creek is located on 9939 Universal Blvd, Orlando, FL 32819, 407-996-9939. 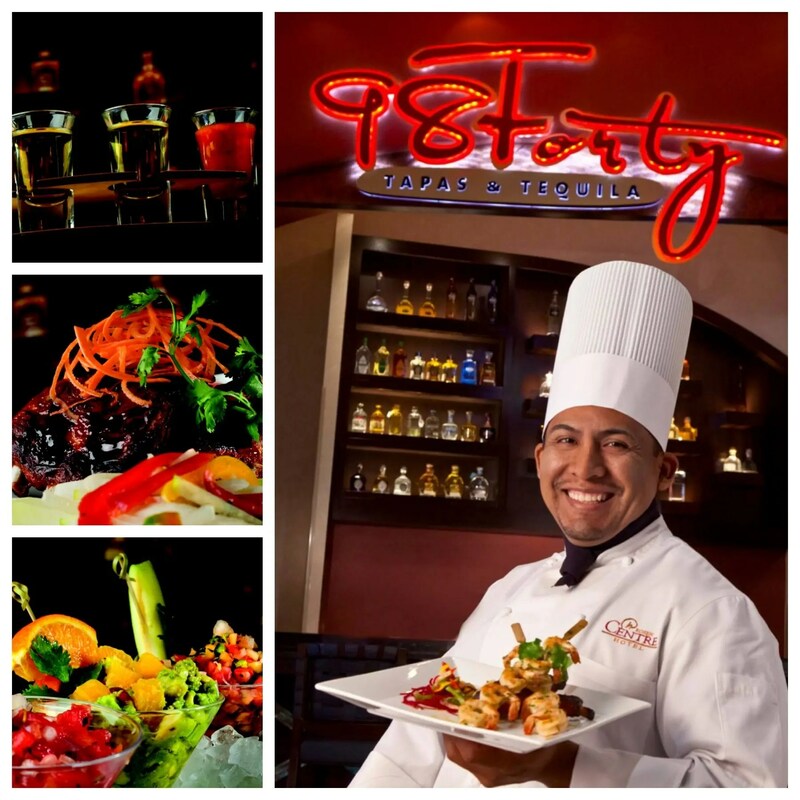 Less than a mile away, is 9840 Tapas & Tequila at the Rosen Centre, a seemingly smaller eatery located in the lobby, features a 9-seat bar where chefs prepare dishes right in front of you, however the menu is served in the expansive lobby lounge so there is plenty of comfortable seating. I do recommend taking one of the seats at the bar. There you can chat with Chef Telo Luna, an entertaining guy native of Mexico whose menu is inspired by his mom’s home-cooking. He uses fresh ingredients and spices in a creative way but never skimping on flavor. He has been featured on local TV shows and is poised for a Food Network competition soon (I would love to see him on Chopped!). The fresh ceviches, salsas and guacamoles together with tacos, quesadillas and nachos are small tapas-sized plates great for sharing. Must-try dishes include their trio of salsa, guacamole and ceviche with warm tortilla chips, carnitas tacos with grilled pineapple, and mango BBQ glazed ribs. The bar features 40 premium tequilas, on a beautiful display, perfect for sipping. Rosen Centre is located on 9840 International Drive, Orlando, FL 32819, 407-996-9840. Universal’s CityWalk is dubbed the “Entertainment Capital of Orlando” and they certainly have enough options to choose from. 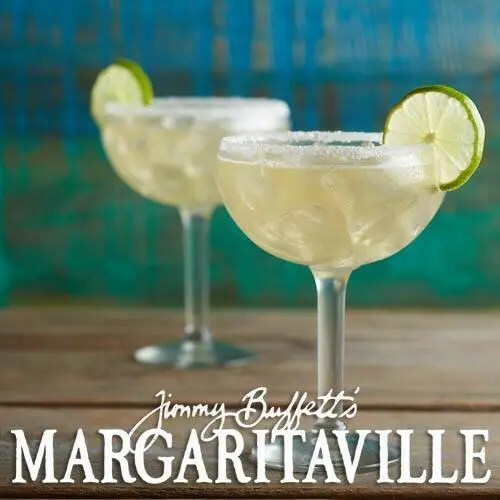 For Cinco de Mayo, why not have a progressive party starting at Margaritaville’s Lone Palm Airport outdoor bar for, what else, a great big margarita and their tasty Volcano Nachos. It’s a great spot to chill, people-watch, take your shoes off and squish your toes in the sand with a cold one in hand. You can then head over to the Porch of Indecision, one of the best names ever, for what probably refers to what happens when you try to decide which cold beverage to indulge in. Inside they have a volcano that erupts with margarita flowing out of it like lava. Now if that’s not a party, I don’t know what is! Add the festive live music (at 5p & 9p), fun island themed food and atmosphere and you are sure to have a great time. Then, progress over to Antojitos, meaning “little cravings”, the newest eatery in the space previously occupied by Latin Quarter. The menu is inspired by the cantinas, street carts and markets of Mexico. The décor, as you would expect of a theme park, is over the top eclectic with vibrant colors, Mexican folk art and unique details throughout. The venue offers two dining options each with their own menu. Casual downstairs menu, with a variety of Mexican favorites such as Carnitas Lupita ($15.95) and El Burrito Revolucionario ($12.95), and a more refined dining experience upstairs with Antojitos Up Menu with dishes like the Carne Asada Brava ($28.95) flavorful coffee-crusted ribeye. The mariachi band, singing popular top-40 tunes, is not to be missed. Cravings satisfied. Universal CityWalk is located on 6000 Universal Blvd, Orlando, FL 32819. The Mexico pavilion at Epcot is a favorite of locals and tourists, and can you blame us? There is so much foodie-fun to satisfy your cravings, whether you’re in the mood for something quick or a leisurely sit-down dinner. 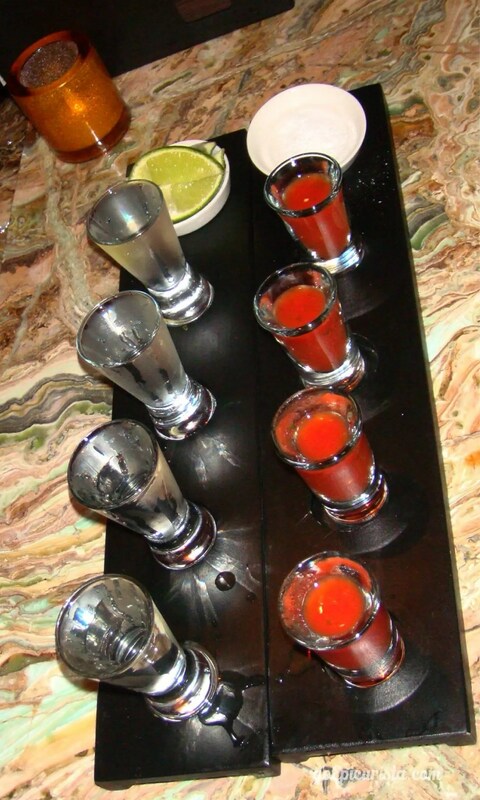 First you must try a tequila flight at Cava del Tequila. This cozy little bar, inside the pavilion, offers over 100 premium tequilas, creative cocktails and appetizers. I love that they serve Sangrita with their tequila, a tomato-based spicy chaser which is a rare practice nowadays but really elevates the experience – this is nothing like doing tequila shots in college. While The International Flower & Garden Festival is currently taking place, Epcot is featuring 11 “Outdoor Kitchens” booths similar to those of The Food & Wine Festival. At the “Jardin de Fiestas” (The Party Garden) booth near Mexico, you can grab a quick bite of Tacos al Pastor with delicious achiote-marinated pork, grilled pineapple, onions and cilantro in a corn tortilla, Flan de Chocolate Abuelita – Mexican chocolate custard- for dessert, and a Raspberry Margarita or White Mexican Sangria to quench the thirst. The combination of fresh flavors is like a “fiesta” in your mouth. While there, check the schedule for the phenomenal Mariachi band that performs in the plaza. You don’t want to miss them. If you’re in the mood for a more relaxing meal, the San Angel Inn Restaurante located inside the pavilion offers you the atmosphere of an outdoor marketplace setting with boats floating by (from the fun Gran Fiesta Tour with Three Caballeros ride) but in an indoor temperature-controlled setting which is nice in the Florida heat. For a spectacular setting, dine in La Hacienda San Angel during the fireworks show (9pm). Try the house-made corn tortillas and fresh salsas, build your own tacos, and mixed grilled “Parrillada” for 2 perfect for sharing. For the tequila-lover, their Tequila Ambassador is available to guide you through their extensive selection. Their fruit margaritas are quite tasty. Reservations are strongly suggested. Disney admission is required, which is only slightly cheaper than airfare. But hey, you also get a chance to visit several other countries to dine “around the world”! Epcot is located on 200 Epcot Center Dr, Bay Lake, FL 32820. This fun spot in Downtown Orlando’s Thornton Park brings you “Mucho de Mayo” all weekend from Saturday May 3 – Monday May 5, 2014, 11am-closing, with live music, $3 Dos Equis, $5 Jimador Rita’s and Herradura Blanco Shots plus over 130 tequilas including their own infusions with berries or pickles to celebrate the holiday. They also serve a house-made sangrita to accompany your tequila shot, which is fantastic. If you have never tried this spicy tomato juice with fresh jalapeno, you must try it. The décor is a bit crazy, like a year-round Day of the Dead party, but lends itself perfectly to the fun atmosphere. Beware of the Tequila Chair. The menu has your typical bar foods with some inventive twists. I like their tacos sold individually with choice of chicken, spiced beef, slow roasted pork ($3.95), steak and shrimp ($3.95) and crab ($4.95) so you can mix and match, plus you can make it a platter with rice and beans for only $1.75 additional. That’s a “Muy Bueno” deal! If you like spicy foods, just tell your server to make it “Diablo” but I warn you, I have seen it make grown men cry! Oh and if you just won the lottery and want to celebrate, order the Billionaire Margarita made with Patron Gran Burdeos and 150 anniversary Grand Marnier, a “bargain” at only $95. I can imagine that must be the smoothest margarita in Orlando. Arriba! 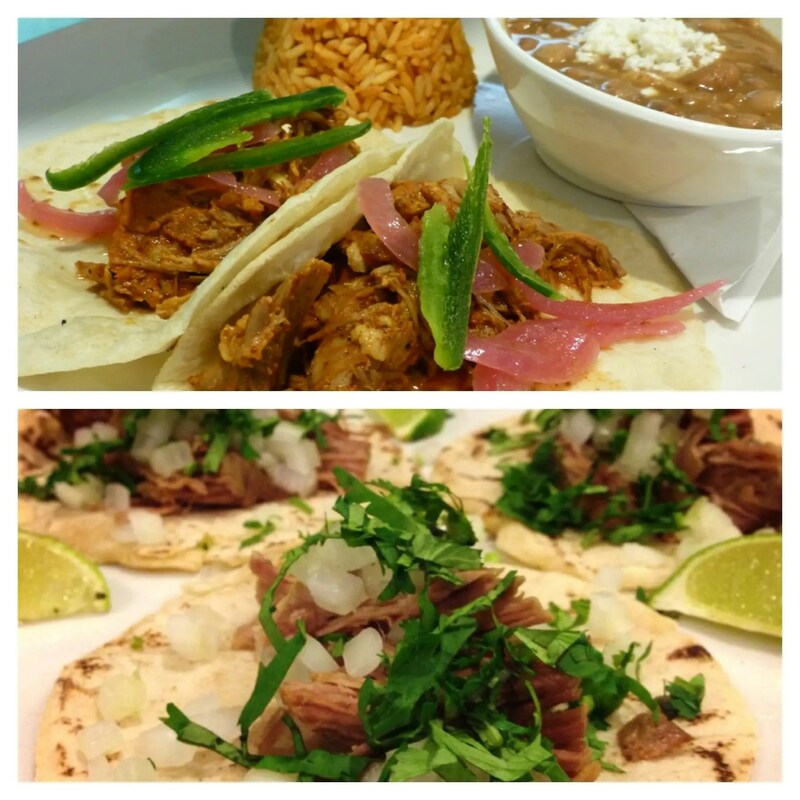 Mucho Tequila & Tacos is located on 101 S. Eola, Orlando, FL 32801, 407-843-9676. This local favorite, is hosting their big Cinco de Mayo Fiesta with a DJ, giveaways, and lots of drink specials to satisfy your tequila-loving heart.The $6 Milagro & $7 Maestro Dobel Margaritas caught my attention as a great price for those top notch tequilas. This hidden gem near Disney can be easily missed, but don’t let the location fool you, this place offers good Mexican food, leaning towards Tex-Mex but definitely authentic. The Grande Burrito should be called the Gigantic Burrito full of meat ($10.99-$14.99), the Del Mar Fish Tacos ($11.99-$14.99) are quite tasty, their house margarita always satisfies and save room for the fried ice cream dessert. I like that they have house-made chicharrones (pork rinds $4.99) as an appetizer as you don’t see this often. Prices are reasonable and portions are more than plentiful. Plus it’s always nice to support a local family-owned restaurant when the owners are genuinely nice people who care about hospitality. 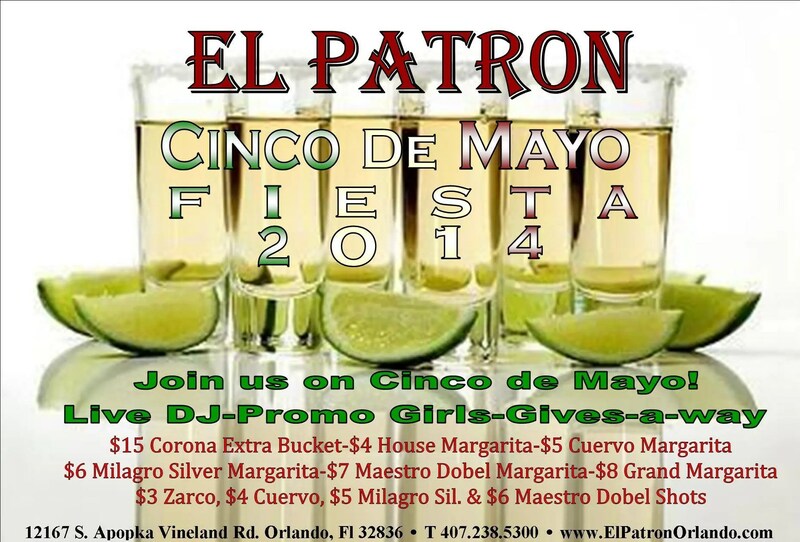 El Patron is located on 12167 S Apopka Vineland Rd, Lake Buena Vista, FL 32836, 407-238-5300. Rocco’s knows how to party and they throw one of the biggest tequila-centric Cinco de Mayo celebrations in town. Drink specials, live entertainment, mariachi bands, DJs, prizes and free tequila pourings are all included on Cinco de Mayo. Yes, you read that correctly…free…tequila pouring! It’s called “Cinco de Drinko” for a reason. You will be doing your best #TequilaDance in no time! Get there early to beat the crowd. Owner Rocco Mangel, the party man himself, will be dropping by, literally, via helicopter as he makes his Cinco de Mayo tour. 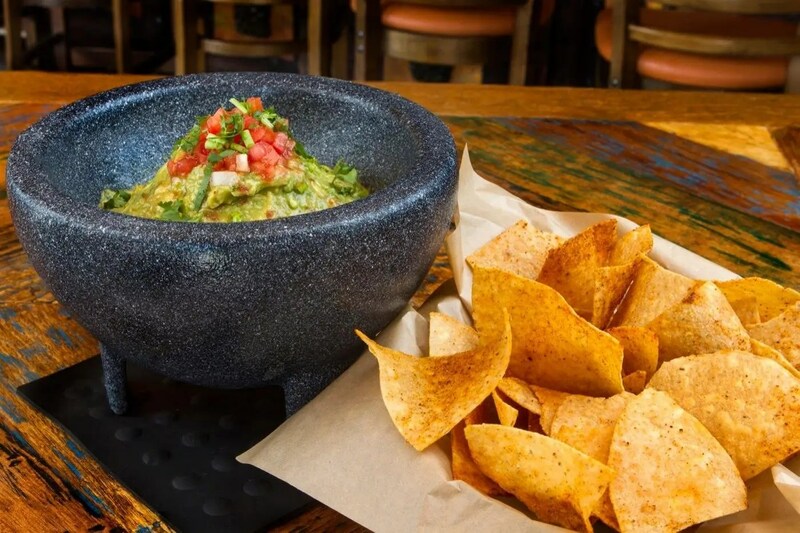 The table-side guacamole is a popular choice paired with one of their margaritas with house-made sour mix. They have a big menu with all the usual suspects. Most locals go, and stay late, for the drinks and their extensive tequila selection, over 225 choices. Did you know there were so many different tequilas? Just remember, not all of them are made for shooting. In fact, the premium tequilas are best sipped. How you enjoy this spirit, up or on the rocks, sip or shoot, it’s your choice. Enjoy it (responsibly) Rocco’s Tacos is located on 7468 West Sand Lake Blvd, Orlando, FL 32819, 407-26-0550. Why only Top 9 and not the usual Top 10 List? Because, you may have a favorite spot that I don’t know about and I am open to recommendations. Sharing is caring, so please share your favorite spot in the comments below. If you liked this list and think your friends would like it too, please share using the links below. Pick your favorite spot to get together, put the date in the calendar and go celebrate! Stacey, the Ravenous Pig is a fantastic restaurant. Put it on your list for when you come to Orlando. Bok Towers is a beautiful spot. We also have Leu Gardens which is not far from Ravenous Pig that is absolutely gorgeous. Thanks for stopping by! Hope you get a chance to celebrate this weekend. Cheers! It has to be the funnest and funniest event of the weekend! Let me know if you want to go. Thanks for stopping by the blog! Ooooo this looks like so much fun. I’m curious now if my town celebrates. I’m going to find out and if there’s something going on head out for some fun! Krystal thanks for stopping by! I’m sure there are fun Cinco de Mayo celebrations in your area but if not, make your own at home. I just posted some easy recipes. Cheers!